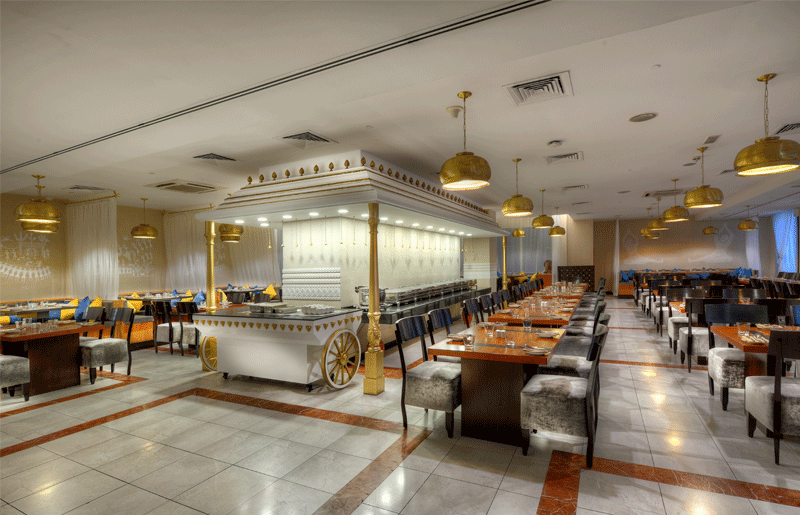 This traditional Indian restaurant is hidden away in the Citymax hotel near Al Karama. Expect a laidback vibe, well-priced beverages and food, and a menu that is packed full of traditional hearty curries, tandoor and freshly made naan. To read a review of Claypot click here. Around AED 200 for two people dining without drinks. Claypot, Citymax Hotel, Kuwait Road, Al Mankhool, Dubai, UAE.For more information click here. Based on North Indian Mugla cuisine, Junoon is a great place to bring guests visiting Dubai. Everything from the food and service to the décor and delightful open plan kitchen show off some of the best things about dining in the city. To read a review on Junoon click here. Around AED 500 for two people dining without drinks. Junoon, second floor, Shangri-La Hotel,Sheikh Zayed road, Dubai, UAE. For more information click here. A welcome break from the masses of buffet style Friday brunches in the city, Mint Leaf of London offers an al a carte menu for its brunch. The restaurant offers panoramic views of the city from a stylish 15th floor setting. To read a review of Mint Leaf of London click here. Every Friday 1pm-5pm, AED 295 with house beverages, AED 435 with bubbly. Mint Leaf of London, South Tower, Emirates Financial Towers, DIFC, Dubai UAE. For more information click here. This high end Indian restaurant in Business Bay is owned by Atul Kochhar, the first Indian chef in the world to achieve Michelin star status, whilst the design of the restaurant is based on a 18th century Indian palace, providing a great fine dining experience. To read a review of Rang Mahal click here. Around AED 800 without drinks for two people. Rang Mahal, fourth floor, JW Marriott Marquis Dubai, Sheikh Zayed road, Business Bay, Dubai, UAE. Tel: (+971) 4 4143000. For more information click here. For the best display of the molecular gastronomy on offer, try the restaurant’s nine course degustation menu. Expect plenty of theatrics, with some courses being cooked and served at your table. To read a review of Tresind click here. The nine course Chef’s Tasting Menu: AED 350 (vegetarian), AED365 (meat), AED 565 with grape pairing. Tresind, 2nd Floor of Nassima Royal Hotel, Sheikh Zayed road, DWTC area, Dubai, UAE. For more information click here.